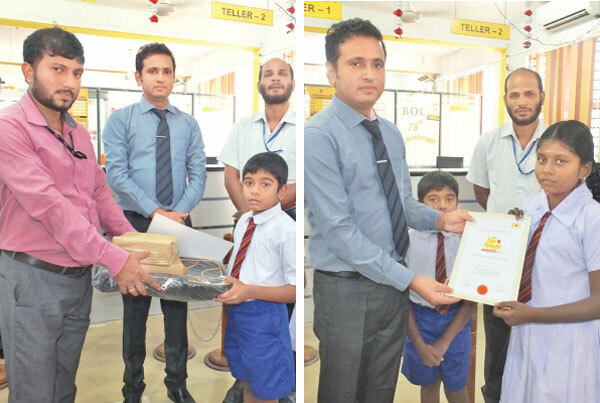 Students from Pottuvil Divisional Schools and Account holders of Runkekulu’ children saving account who got through the 5th standard scholarship examination 2017 were felicitated by Bank of Ceylon, Pottuvil branch officials recently. The event was held under the patronage of BOC Pottuvil branch Manager S.P. Kiritharan at the branch premises. Assistant Manager G.H.A. Roshan and Bank Officer M.C.M. Hairath handed over the prizes to the children.